Yes, a Super Smash Bros. Ultimate demo Really is Coming to Switch Kiosks at Best Buy this week! Given the fact we generally try to avoid anything Super Smash Bros. Ultimate related, which isn’t 100% officially confirmed, you can trust us when we say that this is news you will enjoy, provided you are living in North America. On top of confirming it, Best Buy then went on to respond to numerous comments, in response to @ChaseJ_T’s discovery and when asked what stores the demo will be available at, the account responded by urging people to check with their local store for the latest updates. Checking with your local store will be the best source for the latest updates. 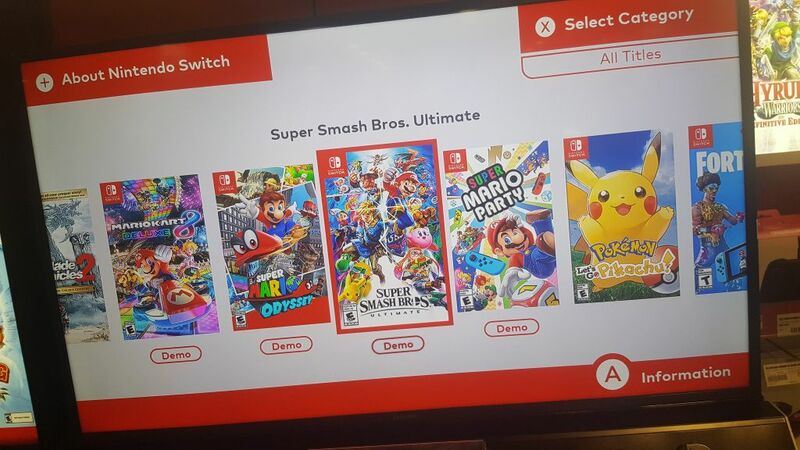 At this moment in time, there has been no mention by Nintendo with regards to a Smash demo being added to the eShop, but unless that changes in the next couple of weeks, or other opportunities to play Smash are made known, Best Buy will be your last chance to try Smash at least once before release, if you haven’t yet. So, will you be trying your luck and getting a match in? Let us know! Categorised in: News, Nintendo Switch, Super Smash Bros Ultimate, Super Smash Bros.